It’s November 13, exactly three months prior to the launch of Mister Tender’s Girl. So now is a good time to answer the question: who, exactly, is Mister Tender? Now then, what would you be willing to do to rid yourself of all these troubles, mate? Under his spell, you’d be surprised at the horror of your answer. The Mister Tender graphic novels came to an abrupt end when the creator’s 14-year-old daughter, Alice Hill, was stabbed by two classmates as a tribute to Mister Tender. Alice survived and was whisked away to America by her mother. Her father, heartbroken, never drew Mister Tender again, and died a number of years later. So imagine Alice’s surprise when, fourteen years after her brutal attack, she receives the following graphic novel in the mail. The cover shows a Mister Tender novel that had never been published. But it’s what’s inside the book that shakes Alice to her core, making her question everything about her life and supposed anonymity. Insider’s Guide: After writing my initial draft of Mister Tender’s Girl, I wanted to recreate the artwork of the book Alice receives in the mail. 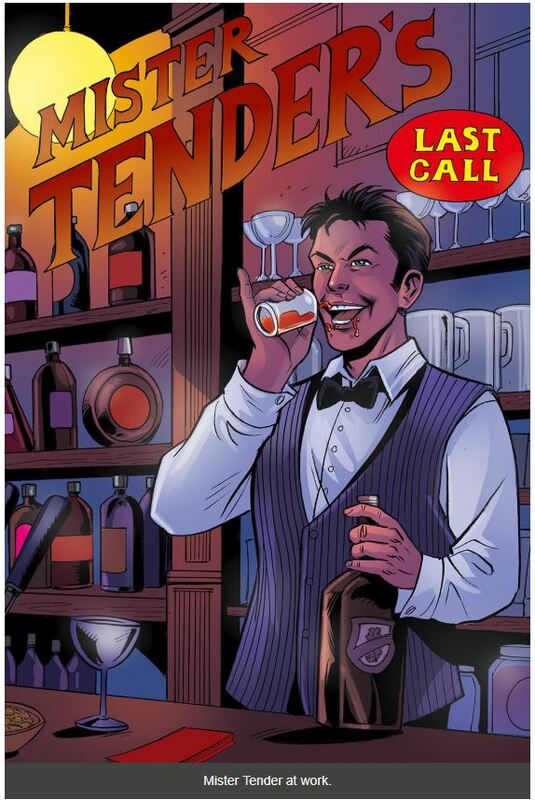 So I hired an artist in Switzerland, a former DC Comics and Marvel illustrator, to bring Mister Tender to life. Using the descriptions from my manuscript, he created this beautiful graphic novel cover, as well as some other graphic-novel panels that are featured on a hidden website. Only by reading Mister Tender’s Girl will you find the clues leading to the site. Another Halloween over, and this year we clocked 301 trick-or-treaters. (Yes, I keep track every year, including stats such as TPH (treaters-per-hour), weather conditions, and number of criers. Sadly, we only had three verified criers this year.) 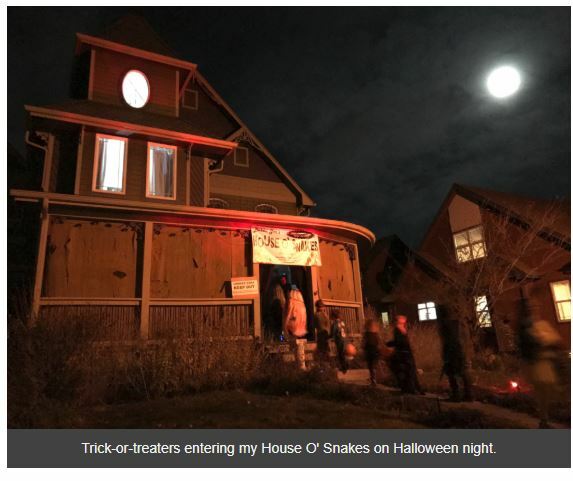 My theme this year was snakes and my covered front porch was replete with video and sound effects, motion-sensor activated pneumatic props, and a glorious spitting viper. I combed through three hours of GoPro footage and compiled this lovely highlight reel of screams. Turn up the volume, it’s worth it. Book: The Story of Edgar Sawtelle. I don’t read a lot of literary fiction (however you want to define that), but I picked up a used, pristine hardcover of this book, and was glad I did. A peculiar, sorrowful tale of a mute boy growing up on a dog-rearing farm. Beautiful writing. Movie: Spielberg. This 2.5-hour documentary on Steven Spielberg’s career is riveting. Did you know the mechanical shark used in Jaws broke so often, Spielberg ended up shooting most scenes only indirectly indicating the presence of the shark? Turned out to be a lot scarier that way. TV Show: Stranger Things 2. Yeah, I know. Me and everyone else. I’m watching with my kids, and we’re pacing things. No binge-watching the whole series in a weekend at this house.